Top quality, Just as Justin has delivered throughout 137 years of professional boot-making expertise! These sharp-as-a-cactus Justin Steel Toe Commander-X5 Work Boots offer the kind of safety and comfort you need for demanding outdoor workplaces. 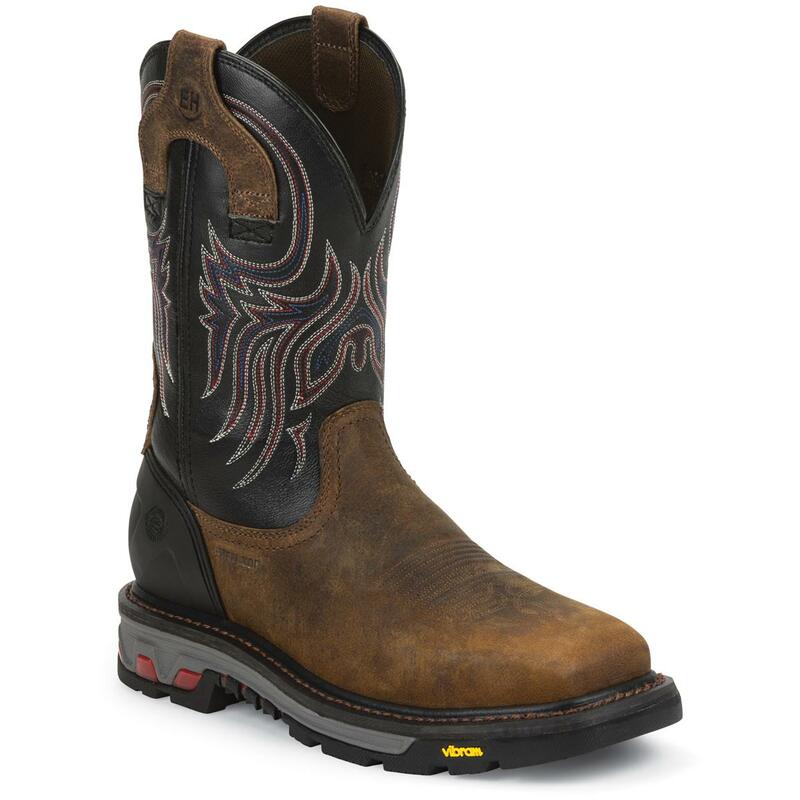 Steel toes and waterproof construction keep you comfortable and protected from sunup to sundown. And they feature premium leather for guaranteed good looks and long-wearing toughness. Dependable, comfortable Boots with western flair!